Updated: 17 June, 2013 (A quick write up, will be edited properly in due time). My great grandmothers brother was Lutfi Kirdar. He became mayor of Istanbul in 1938. In 1940, he tore down the Ottoman barracks and in its place built a park. 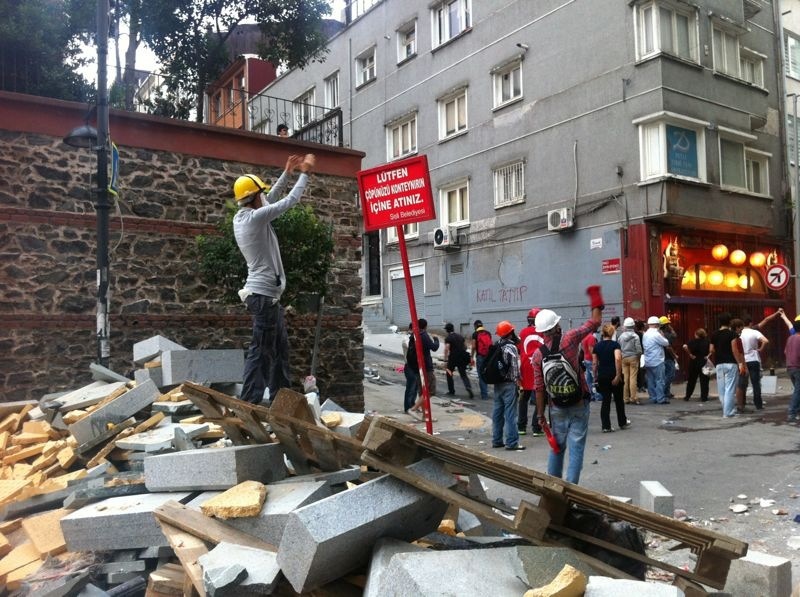 That park is Gezi park centre of Turkey and media attention for the past three weeks. 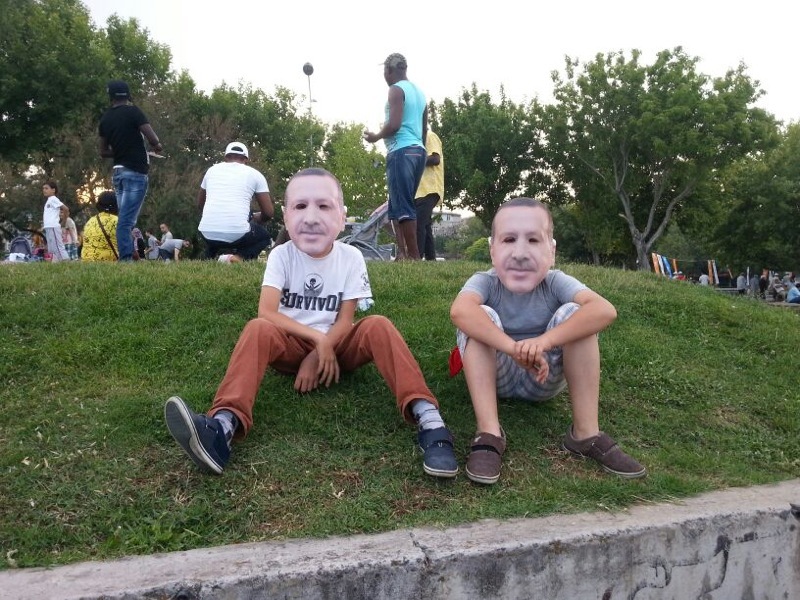 Last night, following the calls by President Gul (on Twitter) and Prime Minister Erdogan (at an Ankara public rally) for the protestors to leave Gezi Park, who had been acknowledged as peaceful, they were moved out. 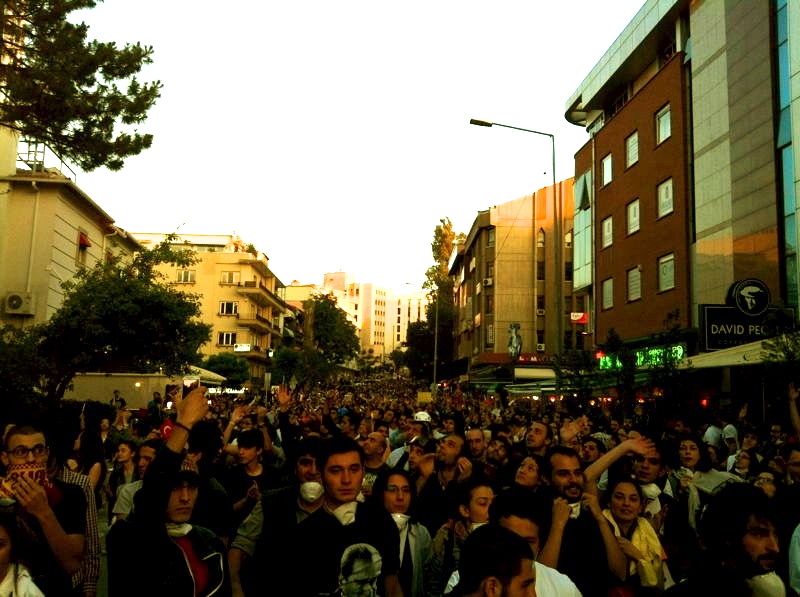 Protestors in the park had been singled out of the crowds gathering daily at Taksim square protesting. They were not to be interfered with. In the park were hundreds of camping tents and impromptu services – food for those who needed it, triage and gas masks, even a library. There were performances in the park, activities for children and even yoga. It had the feel of a calm community oasis, its central point the base of the protest: to stop the removal of trees in the park to make way for planned development. 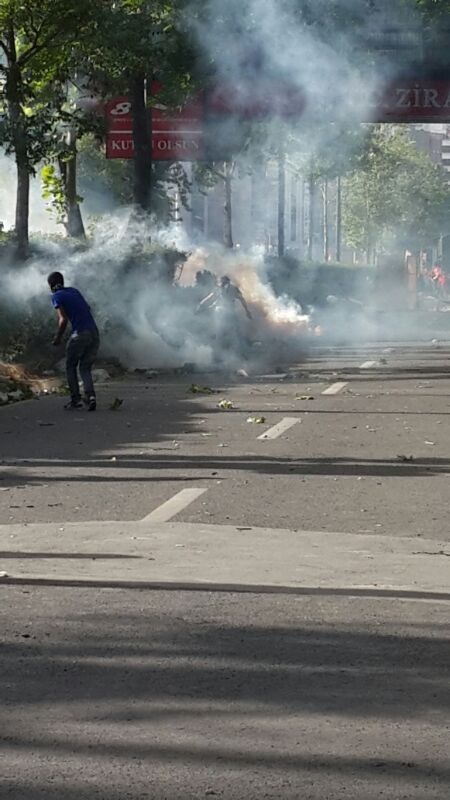 During the afternoon, after calls from police to leave, a series of water cannons and tear gas were dispersed in the park, and with it all its habitants. Some press remained and live images started to come through – police knocking down tents in what appeared to be making sure no one was hiding out and then the ‘clean up’ began. First the bulldozers then the municipal workers. The bulldozers moved the barricades, including one overturned car while the municipal workers started to take down banners, tents, the makeshift stall, everything. A ‘wishing tree’ had been set up where people had written their hopes and tied them with string.. which was then burnt after police took control of the park. Where were the thousands of people who had been previously assembled? Where did they go? 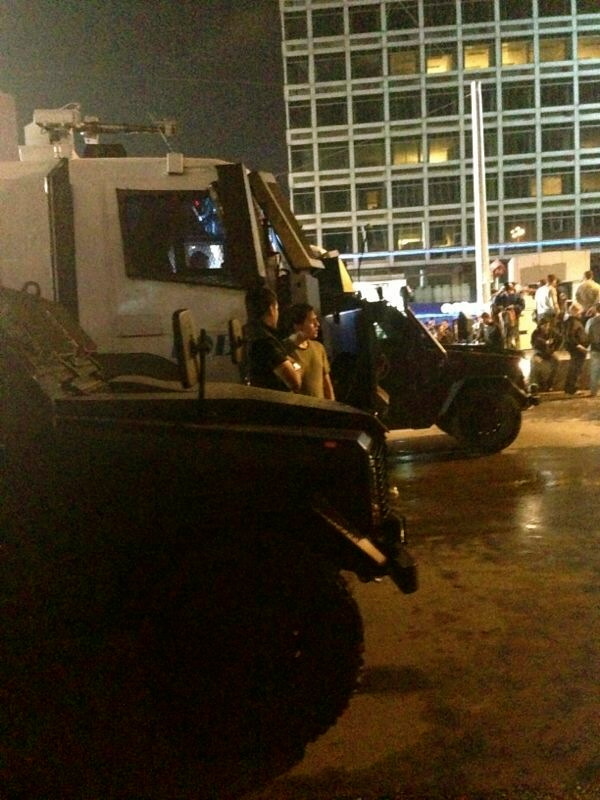 They were cordoned off into various streets that feed into Taksim Square. Children who had been separated from their parents were taken to the Divan Hotel, at one edge of the park. All this of course, was organised on social media. 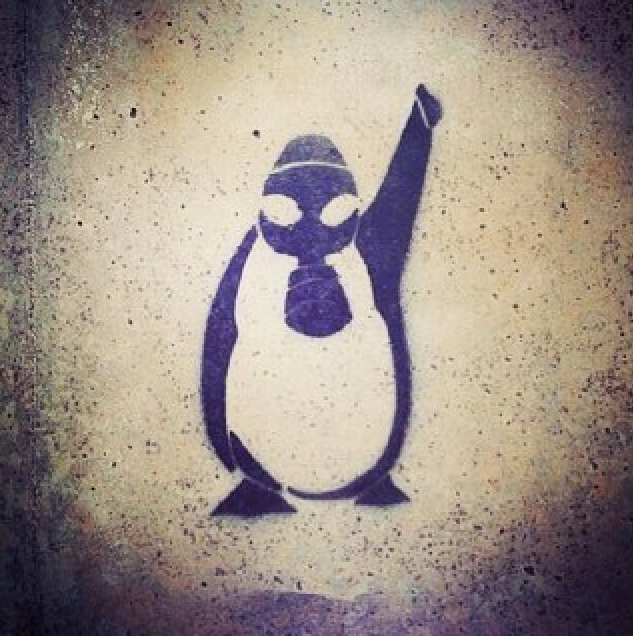 Accounts set up for the Gezi ‘resistance’ have tens to hundreds of thousands of followers. Word gets around quickly. But what happened shortly after was police firing teargas into the hotel. Arda Kutsal founder of Webrazzi, Turkey’s dominant digital blog, said on Twitter “No one in this country will justify those who threw tear gas into the hotel, when children were inside.” Turkish commentator Ziya Meral responded “it beggars belief.” Reports, again on Twitter began to circulate that press was being removed from the park. Shortly after, the live streams went down. 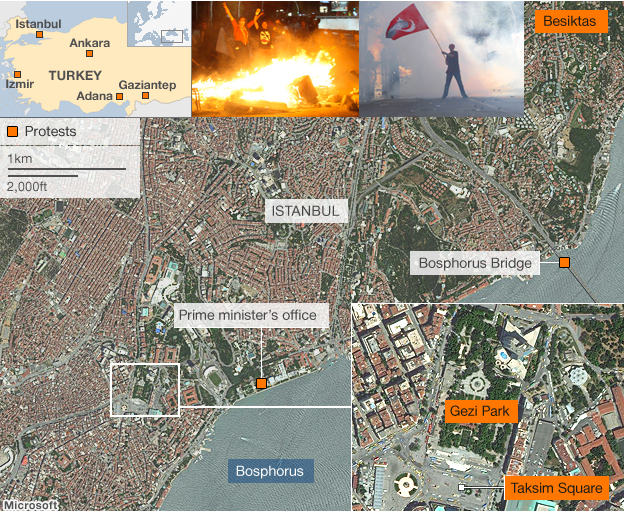 At the same time a pro government rally is to be held tomorrow (Sunday 16 June) in Istanbul. Not good timing. Why create a potential situation for political ideologies to clash. Up until this point, this was not an issue of contention. 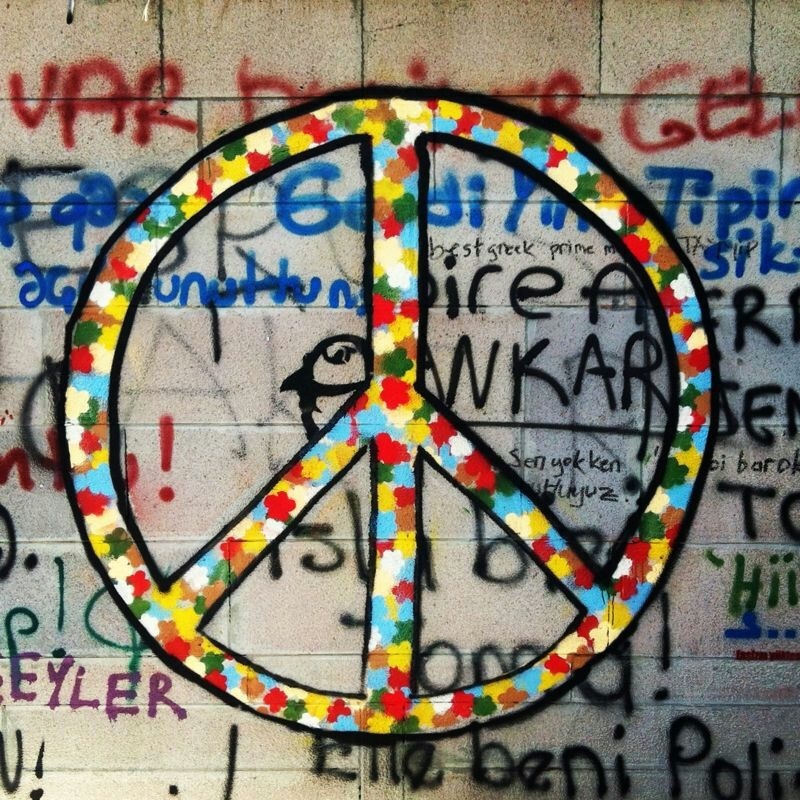 The Gezi and related protests were marked as an organic movement that swelled in response to excessive or unnecessary use of police force. This was acknowledged by President Gul and Deputy Prime Minister Arinc. Protestors were drawn from a diverse cross section of society: the students, the unions, the lawyers, conservatives, the Kurds, and yes even government supporters. Although protestors chants did include anti government and anti Erdogan cries, this did not translate into the oft repeated objectives of the cause: the cessation of the planned Gezi park development, a ban on tear gas and those responsible for excessive police force to be held to account. These objectives have been acknowledged but are not in play.